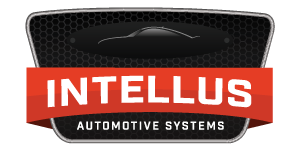 At Intellus, our goal is to deliver accurate, independent and guaranteed estimates within days following a loss, so our clients can quickly calculate costs, determine course of action for repairs and move forward with returning their vehicles to pre-disaster shape. Our team can be on site within 48 hours of a call. Our inspectors follow a rigorous checklist, and using our proprietary mobile estimating application, each vehicle assessment is guaranteed to be thorough and accurate whether we’re assessing damage on ten vehicles or 10,000. From independent appraisers who are ready to be on site at a moment’s notice, to our group of desk appraisers, call center professionals and IT support, we’re looking for individuals with the right mix of skills, knowledge and expertise to help us deliver confidence on every claim. for surveys, inspections and adjustments after catastrophe strikes a large number of vehicles. Our experienced team of auto adjusters can be on site within 48 hours anywhere in North America. We deliver detailed, accurate estimates for commercial insurers, manufacturers and dealers to take the first step in assessing the extent of damage and returning your fleet of cars, trucks, heavy equipment or recreational vehicles back to shape. Intelligent claims management is here. Take advantage of our proprietary software to ensure accurate reports time and again. Our team is made up of automotive experts in the repair, insurance and catastrophe response industries. When speed and accuracy matter most, we have a team of experienced appraisers on site to assess the damage, determine the best course of action for repairs. We work hand in hand with our clients to deliver the information they need to move beyond a loss.